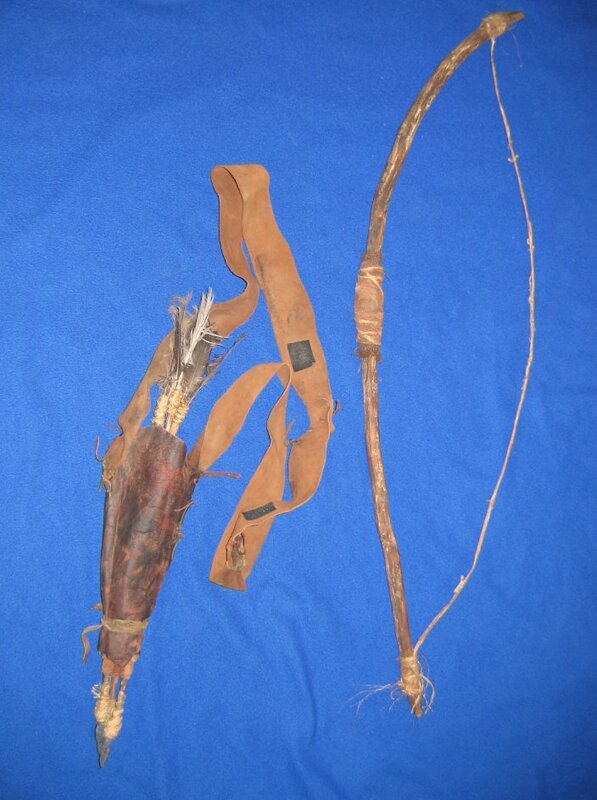 This is an Ewok bow, quiver, and arrows used in the film, Return of the Jedi. 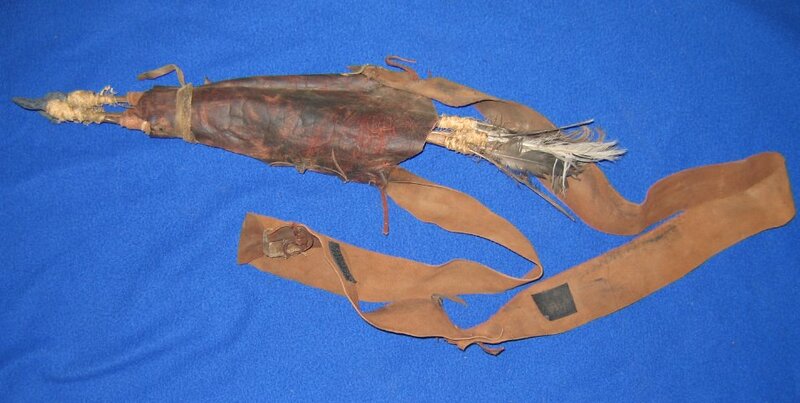 The pieces were made for the movie using real components such as wood and feathers. 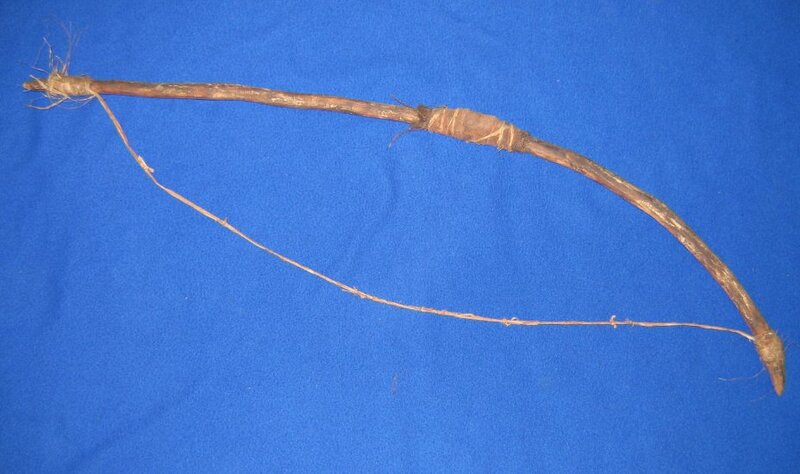 This allowed each Ewok's bow to have a distinctive look. The velcro patches on the quiver are where it attached to the costume. The arrows are not designed to be removed from the quiver but rather for display over the Ewok's shoulder.